Call for the Today’s Specials! Today’s Specials, Jan.7: *Especiais Portugueses/Portuguese Specials* – Canja; Chicken Soup. – Peixes Mixtos Grelhados; Mixed Grilled Fish. – Bife c/Cogumelos; Steak w/Mushrooms. 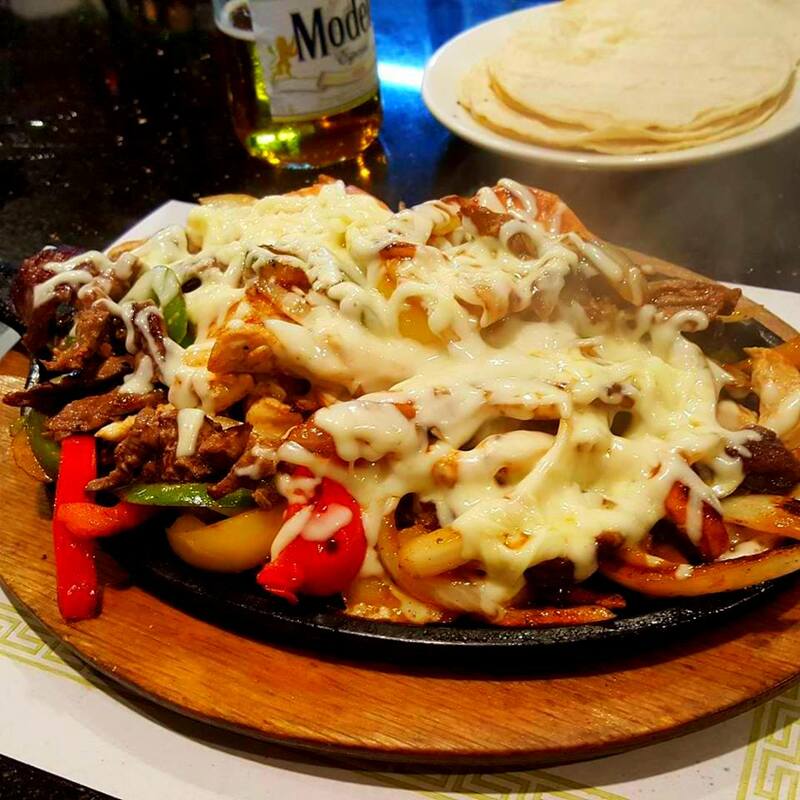 *Especiales Mexicanos/Mexican Specials* – Crema Poblana; Poblano Pepper Soup. – Tortas de Atun; Tuna Patty Stew. For Take-Out, please call: (631)-736-4600 On this day, we close at 6:00pm. Sopa de Espinafres; Spinach Soup. Caldo Tlalpeno; Chicken Soup. Galinhola Recheada; Stuffed Little Chicken. Caras de Bacalhau c/Todos; Boiled Codfish Cheeks. Rabo de Res Entomatado; Oxtail Stew in Tomato Sauce. – Sopa de Peixe; Fish Soup. – Sopa de Pollo; Chicken Soup. – Pernil de Porco Assado no Forno; Oven Roasted Pork Shank. – Posta de Robalo Grelhada; Grilled Black Sea Bass. – Pollo Guisado c/Rajas; Chicken Stew w/Peppers. – Salmon Azado; Grilled Salmon. – Canja; Chicken Soup. – Sopa de Mariscos; Spicy seafood soup. – Arroz de Tamboril; Monk fish stew in rice. – Rancho; Pork stew w/chickpeas, pasta. – Pechugas empanizadas rellenas de jamon y queso; Breaded chicken breast stuffed w/ ham & cheese. – Carne de Puerco a La Mexicana; Pork stew Mexican style. Great atmosphere amazing customer service back here anytime waitresses are great!!! Best service i have ever received! Love the pork sandwich. Spicy and full of flavor. French fries are fabulous. 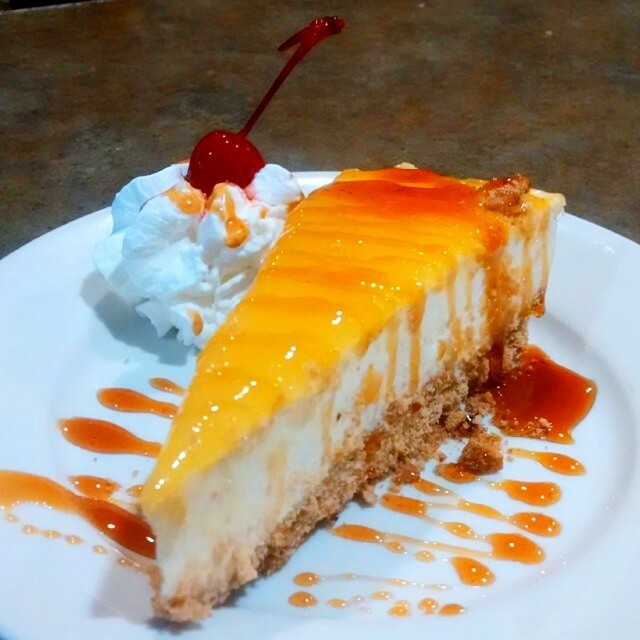 Step out of your comfort zone and step into some authentic food. And it’s a great place to pratice your Spanish !! Love it. Went today after passing it many times and finding the name a bit peculiar. I got the whole chicken with rice and and order of beans. Wow! It was almost 2pm, Thursday, and the place was bustling with customers, clearly enjoying the food and atmosphere. I’ll def be bringing my husband to this hidden gem! I LOVED IT!!!!! Huge portions for the $$$ they charge. I asked for a beef torta which it felt like they gave me 1/2 cow (steak was bigger than the roll, so it was overflowing which it was great) and an agua de jamaica which they gave me a jar look like glass.. And all this for $10??!!!! Beautiful thing.. I love this place. People were friendly, everyone in there, even others eating there, parking on premises.. I mean it has the three “B’s” in spanish: Bueno, Bonito y Barato. 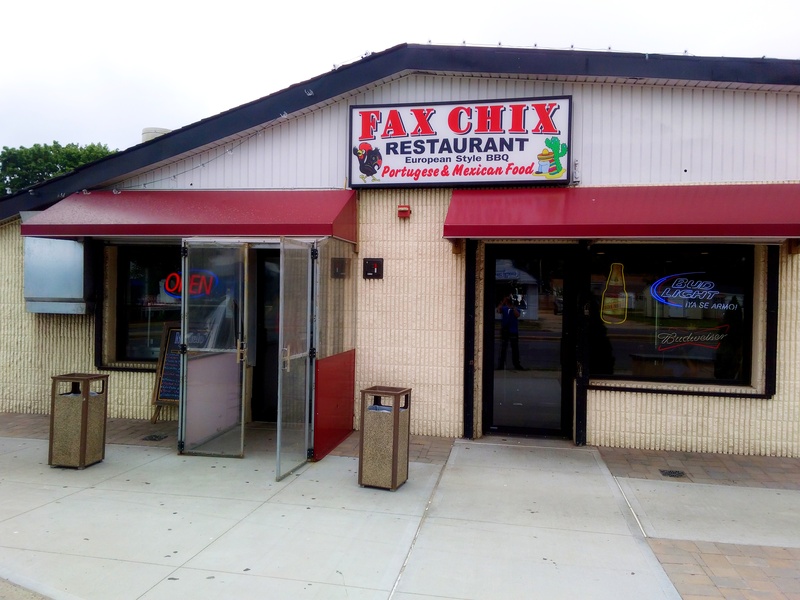 FaxChix is a Fun and Friendly Restaurant in Farmingville, Long Island that serves Portuguese and Mexican food including steak, seafood, tacos and tortas. 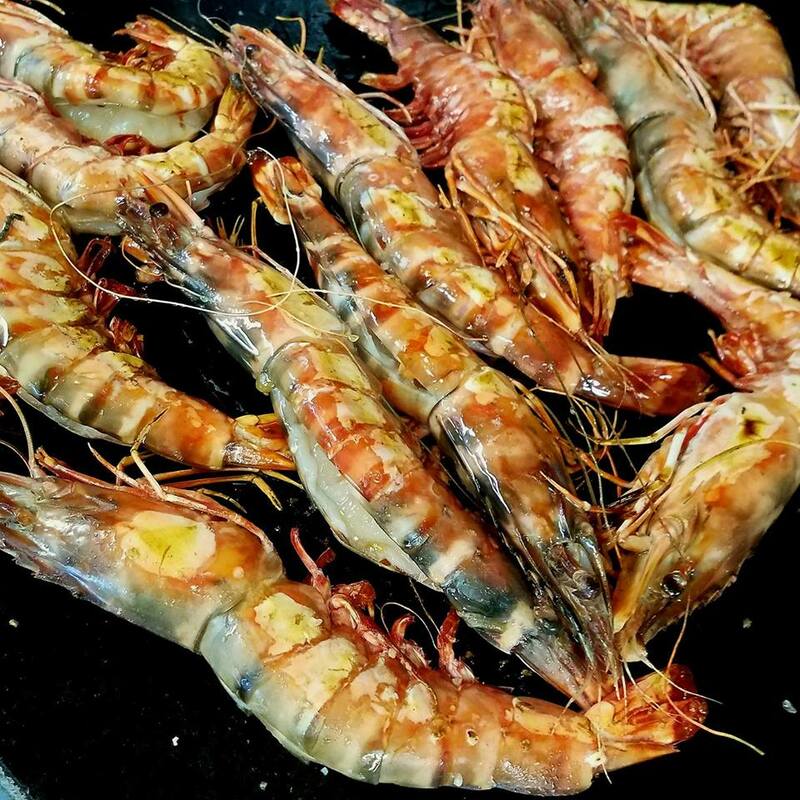 Sunday specials include lamb dishes and tripe soup, and the restaurant has a full bar serving cocktails, sangria and beer. The attached market sells a variety of imported Portuguese and Central American specialty foods.